People everywhere are playing Pokemon Go. We’ve covered it quite a bit here at MakeUseOf, showing you some basics of playing the game, and we even have a full article breaking down many of the important things you need to know to stay safe. 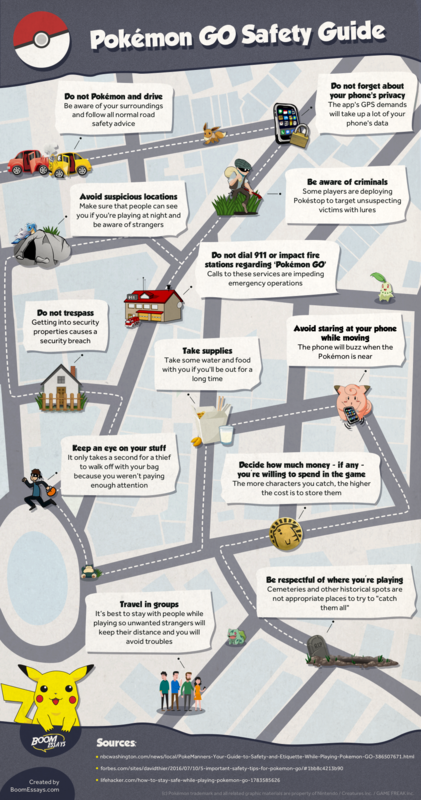 Today, we’re piggy-backing off that post with a quick visual guide that’ll teach you everything you need to know to be a safer Pokemon Go player in just a few seconds. Print it out, share it with your friends, give it to the kids, and let’s get prevent any Pokemon Go tragedies before they arise.